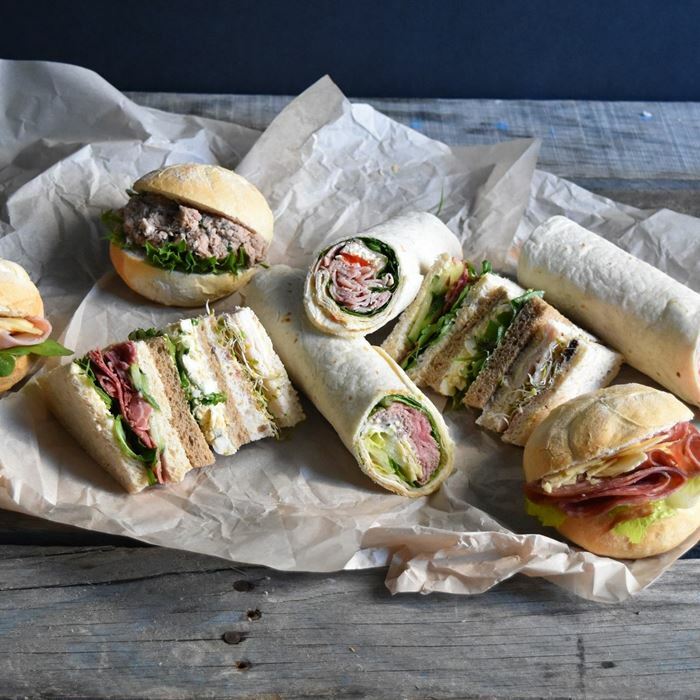 Includes a selection of mixed sandwiches, wraps and Kaiser rolls. 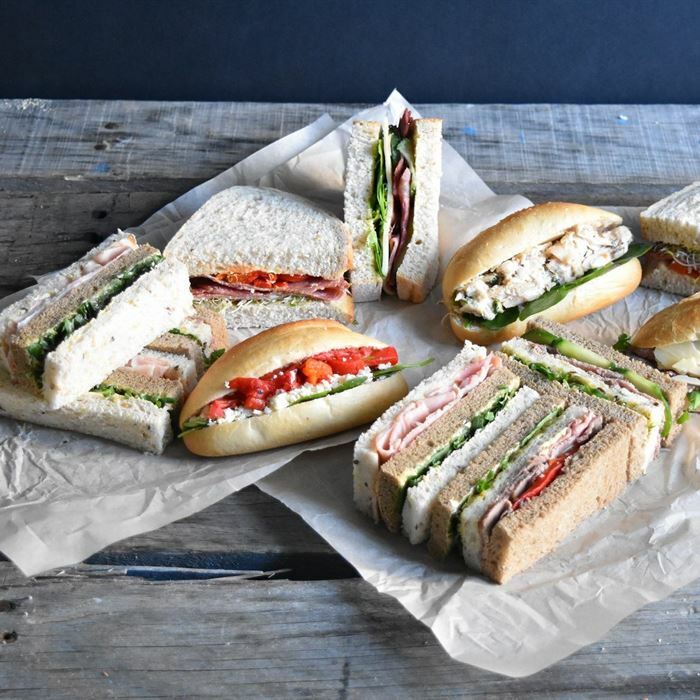 Includes a selection of club sandwiches, artisan sourdough sandwiches and baby baguettes. 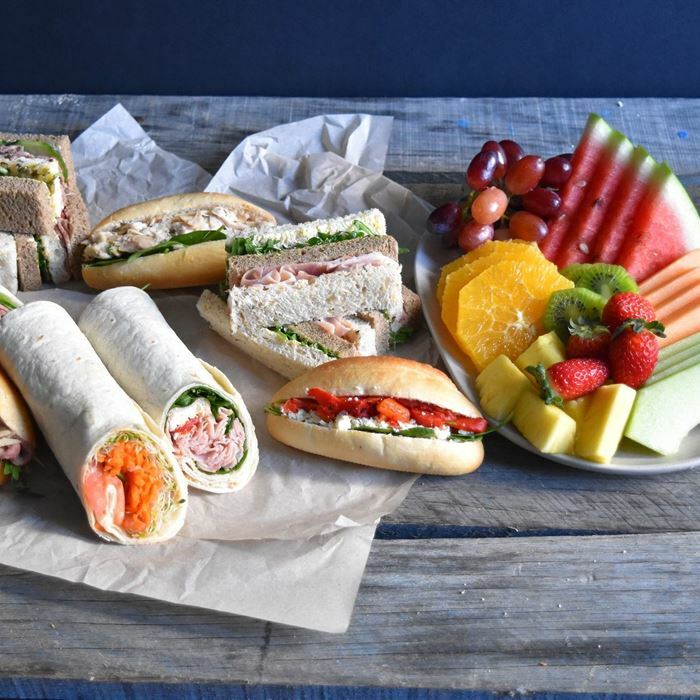 Includes baby baguettes, club sandwiches, wraps and a fruit platter. 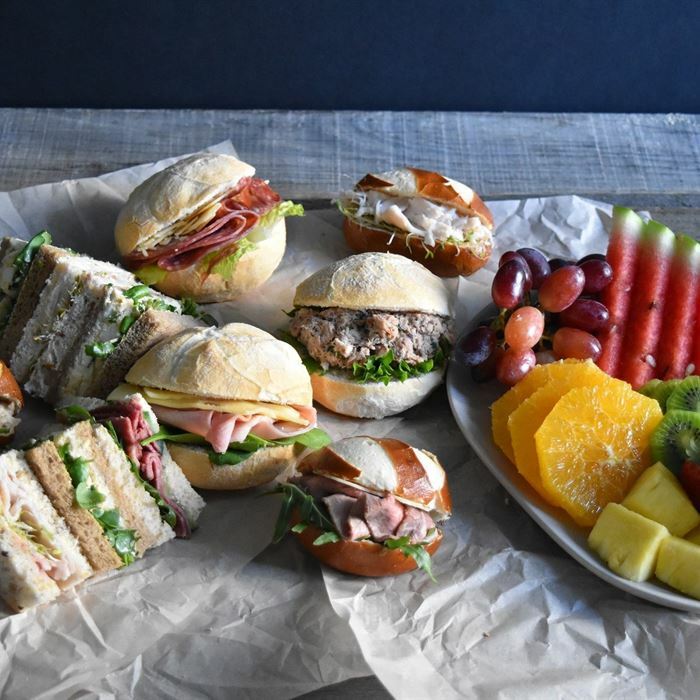 Includes mixed sandwiches, Kaiser rolls, laugen rolls and a fruit platter. 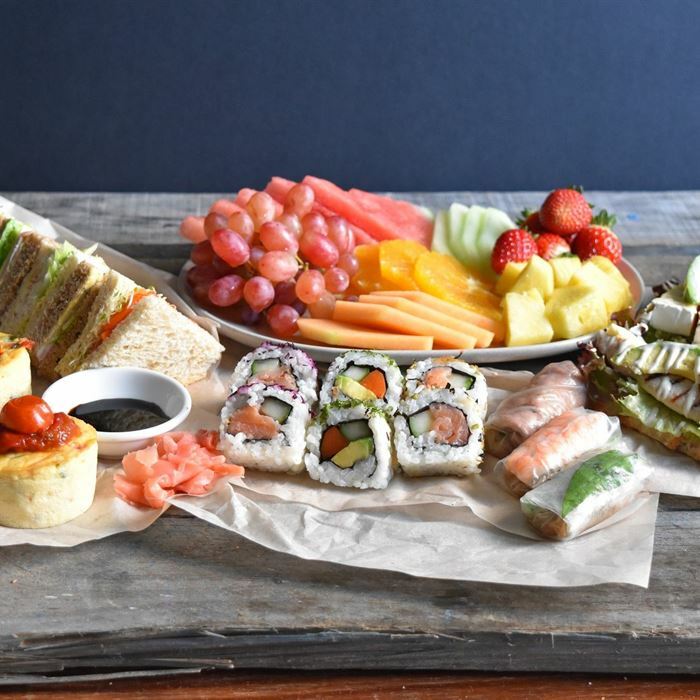 Includes chicken ciabattas, nori rolls, Vietnamese rice paper rolls, fresh baked frittatas, mixed sandwiches and a fruit platter. 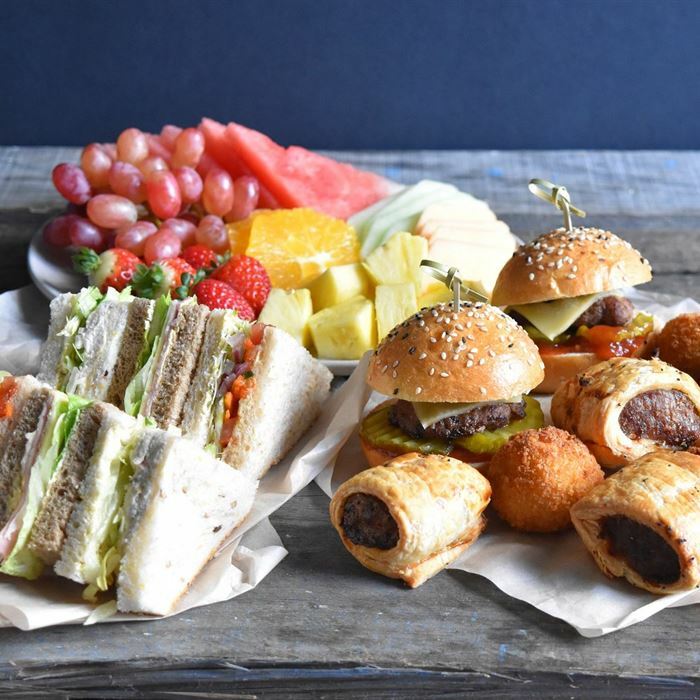 Includes mixed sandwiches, a selection of three hot canapés and a fruit platter.